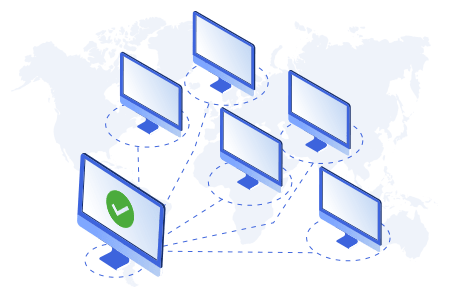 What is Remote Desktop Connection Manager? Remote Desktop Connection Manager (RDCMan) is a tool for managing multiple remote desktops. This technology allows for a client’s computer to be accessed by the host computer from a different location. However, it is only possible to connect a RDCMan with the use of Remote Desktop Protocol (RDP). This tool is ideal for those administrators working in Windows-only environments and needing a remote desktop management tool exclusively focused on RDP. RDP, originally developed by Microsoft, provides a means through which people get access to a computer remotely. RDP is available with a good user interface that, is lightweight and comprising of input devices such as a keyboard and a mouse. How to Use Remote Desktop Connection Manager? RDCMan works with Microsoft Remote Assistance, pcAnywhere, Microsoft Remote Desktop, Radmin, TeamViewer and more. Administrators can use RDCMan to organize connections by groups via top-level hierarchies. In the two-pane interface, connection options comprise of all that the admin can define within a native RDP session. Admins are capable of only importing servers via a text file. RDCMan is considered to be only useful for RDP connections. This is because it is perfect for administrators in Windows-only deployments who desire to have a remote desktop management tool that exclusively focusses on RDP. RDCMan is considered to be particularly useful for testers, systems administrators, developers, and lab managers work with server labs, groups of computers, or large server farms, such as automated check-in systems and data centers, where regular access to each machine is essential. The potential to consolidate multiple RDP connections into a single window decreases desktop clutter. Turn off Allow connections only from computers running Remote Desktop with Network Level Authentication. RDCMan has a database allowing users to save their login credentials, enabling automatic login to sessions, also including RDP and Terminal Services. It is capable of supporting Cisco VPN and Microsoft virtual private network (VPN), as well as others. It provides virtual machine connect-to-console support. It offers client size options that come from the application configuration file. It provides support for credential encryption with certificates and more. Admins can add on features, such as MySQL and Java Web Star tools. The RDCMan interface is clean and simple, but the descriptions of each connection are considered to be on the same line as the server name. This complicates the process of seeing and managing two panes simultaneously. Available on CodePlex, the Terminals remote desktop client can function with networking technologies such as Time Sync and Transmission Control Protocol connections. Remote Desktop Manager Standard Edition from Devolutions, which offers Windows PowerShell support and incorporates with Microsoft Azure. MultiDesk focuses on security and allows for a connection only after the user confirms a shared piece of information. 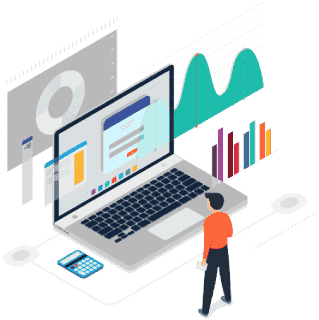 ITarian’s Remote Monitoring and Management (RMM) permits users to gain remote access to the endpoint and carry out essential actions in order to solve issues. While working with the endpoint, the end-user will be able to view the actions taken by you and then operate the computer if needed. Up-to-date information on the updates and status of the users' software and networks. Select 'Remote Desktop' from the 'Deploy Tool' drop-down on the left. The desktop of the endpoint opens in a new 'Remote Desktop' tab in the main configuration area. You will be able to take all the essential measures for rectifying the problems in the endpoint.